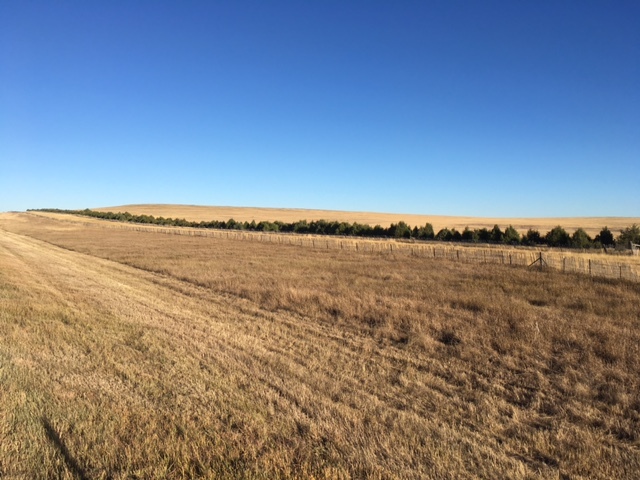 Trip Log – Day 326 – Limon CO to Denver | How Will We Live Tomorrow? 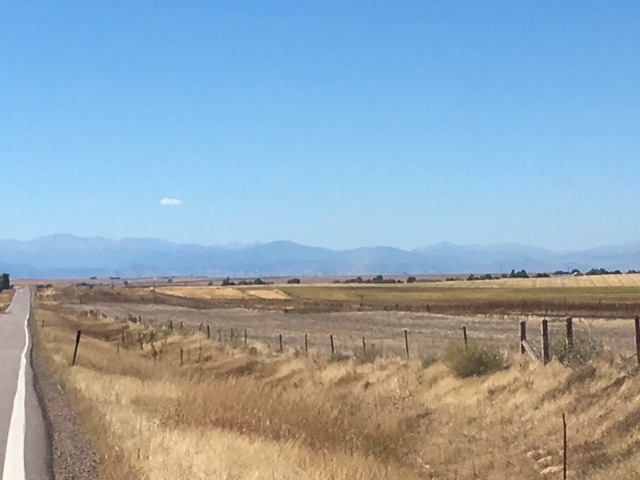 Cycle touring doesn’t get any better – even with twenty miles on the Interstate! 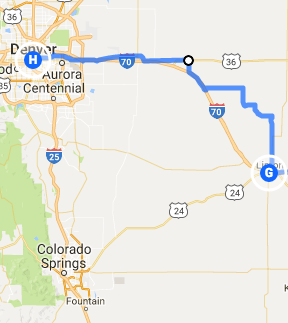 Google mapped me 116 miles to Denver – too much for one day. But my experienced warmshowers host in Limon mentioned that it’s not only legal to ride the Interstate shoulder from Limon to Agate, but an easy chore along vast prairie with evergreen storm breaks that leads to Colorado 40. Her guidance shed twenty miles from my route. With ideal temperature and wind, pedaling all the way to Denver was easy. The ten-mile stretch on Highway 36 between Bennett and Watkins is a gentle roll into Denver’s valley; a breathtaking expanse of glowing grassland set against distant purple mountains. Denver is one of the easiest large cities to navigate on a bike. The Highline Trail is a 73-mile near continuous loop – the cyclist’s equivalent of a Beltway. It took me from Aurora, east and a bit north of the city, all the way around to the southeast sector of Denver proper. I arrived at my sister’s for a two-day respite in time to watch the first Presidential debate and subsequent spin. The people I meet in real life are so much nicer than the talking heads on television. This entry was posted in Bicycle Trip Log and tagged Bicycle Touring, Denver CO, High Line Canal Trail. Bookmark the permalink. We demand a better compliment than that! ANYONE is nicer than the talking heads on television! How about, ‘the people I meet in real life are head and shoulders above the talking heads on television.’?